In 2016, I became a bit of skincare fanatic and one of my main missions of the year was getting my skin back into a good condition. Along my way a friend recommended I try the La Roche-Posay Effaclar range, which is targeted towards blemish and acne prone skin. 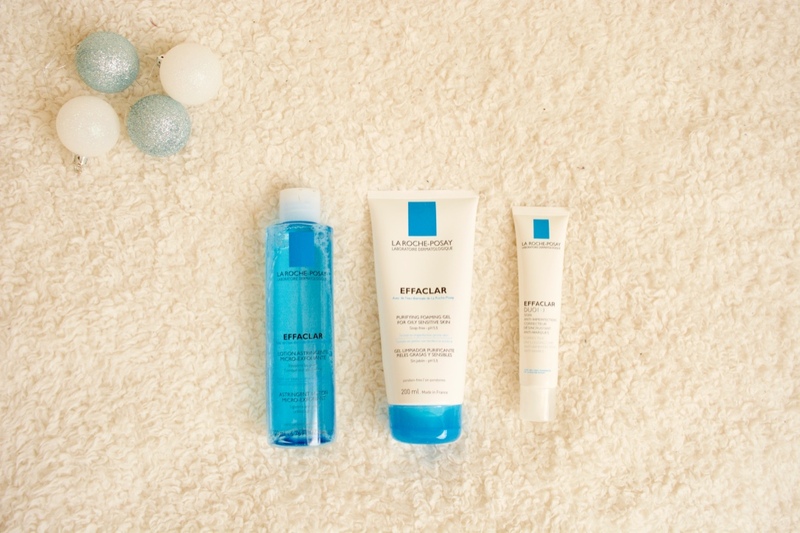 I have to say I have been very impressed with La Roche Posay and the products in the Effaclar range I have tried, they helped even my skin tone and left my skin looking healthier. The Effaclar Clarifying Lotion cleanses and exfoliates skin to help instantly unblock and reduce the appearance of pores whilst smoothing skin texture. The toner gets rid of excessive oil and removes impurities leaving you with refreshed skin. This was definitely my favourite product I tried from the Effaclar range and I love how it left my skin feeling, it felt tighter and smoother instantly after using it. Even if you don't suffer from acne or blemishes, I would still definitely recommend this as a toner as it is perfect for refining skin and getting rid of any leftover makeup debris. The Effaclar Purifying Cleansing Gel gently eliminates impurities and excessive sebum, which leaves skin feeling clearer and declogs your pores allowing skin to breathe easier. It contains soothing and anti-irritating La Roche-Posay Thermal Spring Water to reduce redness and combat those angry spots. I found the Cleansing Gel very effective whilst use with the other two products, however, it is my least favourite out of the three products as I prefer my facial washes to have a nice fragrance as they sit on my face all day. I do know that effectiveness and prettiness don't always come hand in hand though, but I would still definitely recommend this to anyone suffering from acne. This lightweight anti-blemish cream helps banish keys signs of oil and blemish-prone skin. It helps with the appearance of blemishes by minimising redness and controlling shine, unclogging pores and refining the appearance of skin. My skin looked and felt a lot less oily, but not dry in any way. It was fantastic helping with my complexion and slowly made those little spots disappear.